The Spirit Windproof Balaclava helps keep you warm inside and gives improved protection against both cold and noise. Heat loss from the head is a significant hypothermia risk. Studies also show a clear connection between working in cold environments and back and neck problems. The Spirit Windproof Balaclava from Devold is therefore made with a two-layer double weave on top – with 50% Merino wool and 50% Lenzing – for better insulation under the helmet. The neck is also insulated to stop draughts between the helmet and jacket. A mesh around the mouth area also prevents moist air from freezing into ice, while the single weave around the ears allows earmuffs to fit better. 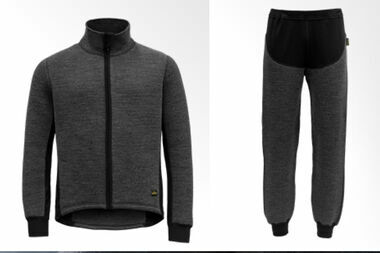 It all adds up to greater comfort. When you wear a balaclava, there is a risk that earmuffs do not sit tightly enough around the ears, allowing in noise and the risk of damaged hearing. Research shows that the locations of seams, zippers, buttons, and folds on the balaclava also affect noise leakage. With the Spirit Windproof Balaclava, we have taken this very seriously. 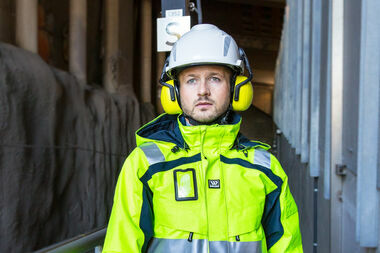 In studies performed by SINTEF, the Spirit Windproof Balaclava is clearly the best of the four balaclava models that were all tested with Peltor Optime III earmuffs. The worst-performing balaclava gave 10 dB suppression in the frequency range of 0.5 to 8 kHz, while the Spirit Windproof Balaclava gave 30 dB suppression in the same frequency range, which is a considerably better result. The Spirit Windproof Balaclava is part of the Spacer intermediate layer series, which complements the Pyrad collection from Wenaas. 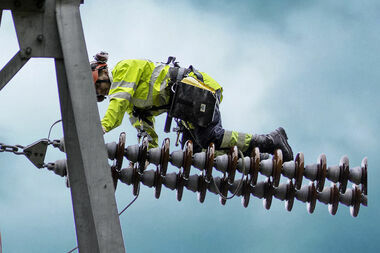 Wenaas has worked closely with SINTEF to develop this arc flash-approved clothing concept for the power industry – and especially for work in extremely cold, wet and windy areas.